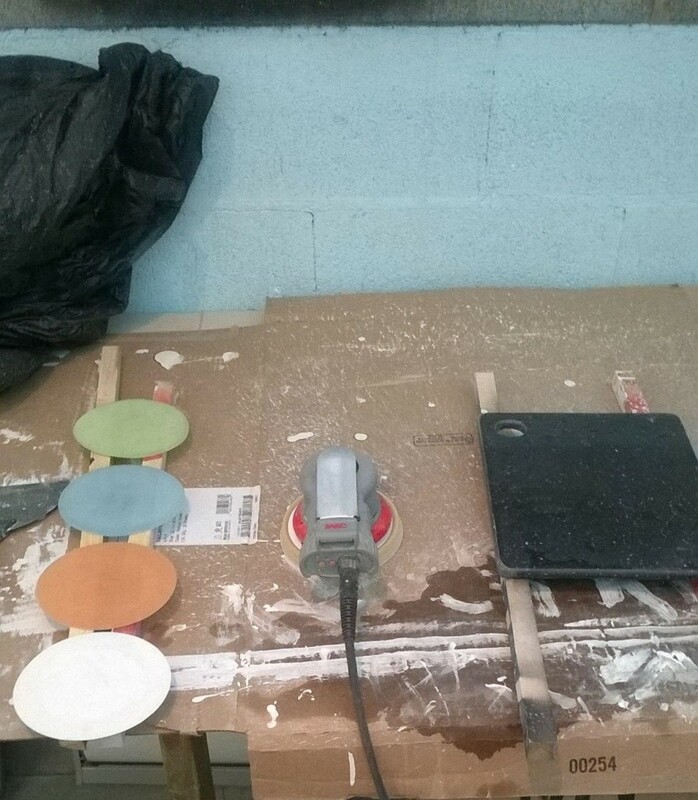 We’ve recently been using our ShopBot CNC machine to cut out cutting boards made of Corian. O’Keefe Inc. is a local cabinet shop in River Falls, WI, that makes some of their counter top products out of Corian, and they were generous enough to donate scrap material to our school. Since we receive the Corian free of charge, we have been able to make and sell numerous items made of this material. The money made from these sales has helped us make money to feed back into our school. We have sold some of the cutting boards at the school district craft fair, and others have been sold to people who want them. These people could customize their cutting boards for an additional fee, by adding text such as family names or drip trays. We’ve learned a lot by working with Corian in terms of cutting it the right way with the right bit and feed rate. After numerous times of cutting the material we realized we we’re cutting it too fast because the chips were too small. By using the chip load calculator we found the correct feed rate, allowing us to cut the material more efficiently. After the boards were cut out, we finished with Trizact that 3M had donated to our school. We used 4 different grit types on our boards, each finer than the last. 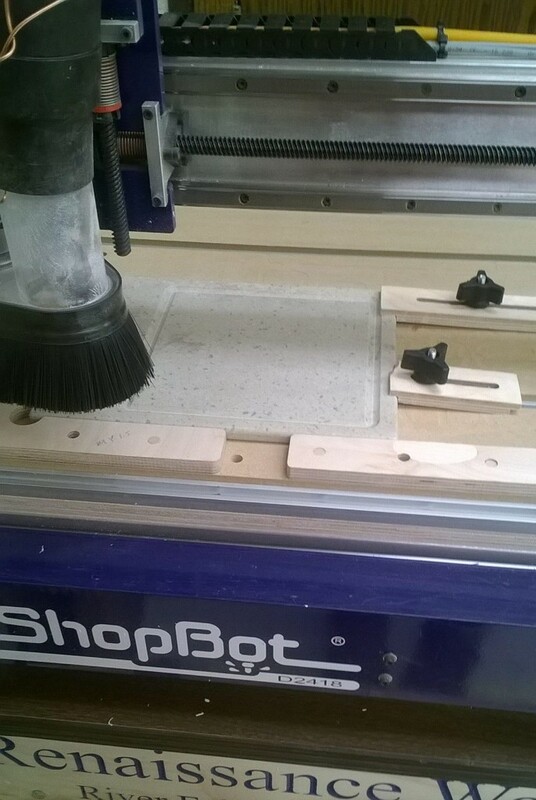 By working with businesses in our community we have been able to use our ShopBot to not only learn about 21st century manufacturing and marketing skills, but to make money for our school.